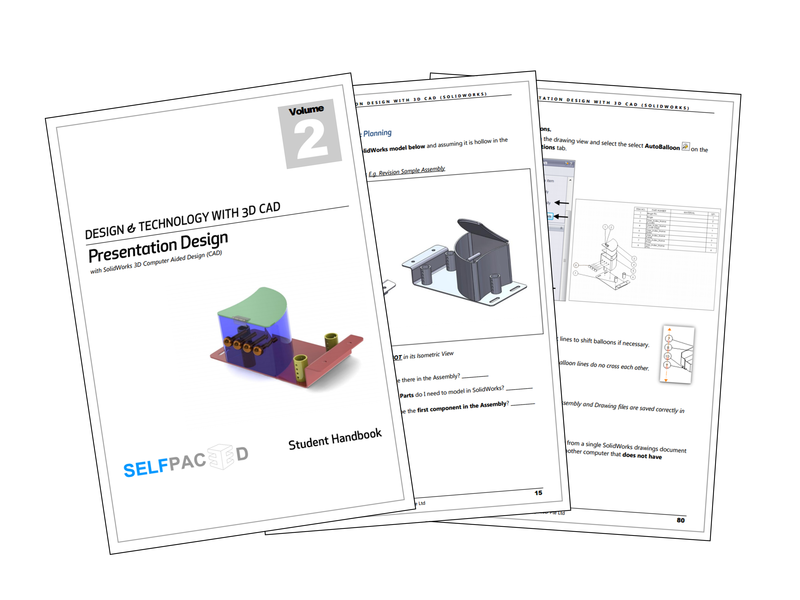 Presentation Design with 3D CAD (SolidWorks) is a course specially created for Secondary 3/4/5 students taking Design & Technology (D&T). This course is offered both as an online self-paced learning course, as well as an instructor-led training course. This course is designed to familiarize participants with the main design processes of their Design & Technology (D&T) coursework, that can be digitized with SolidWorks 3D CAD software. 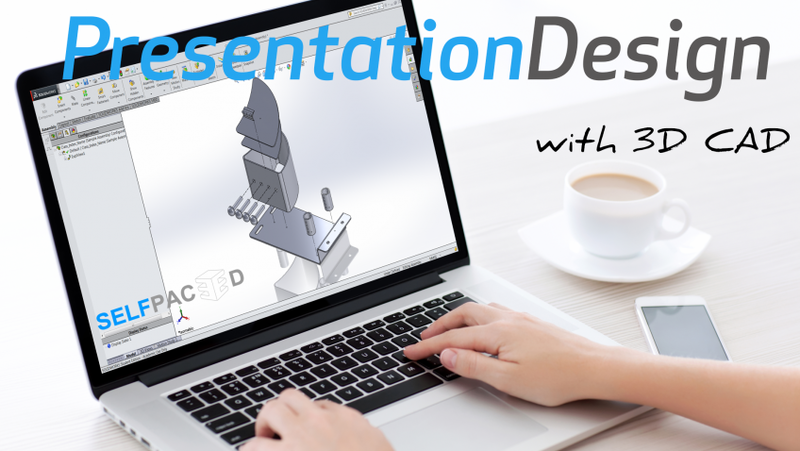 The Presentation Design with 3D CAD (SolidWorks) Course is a popular, “tried-and-tested” instructor-led training, that has equipped thousands of students with the relevant skills, to create compelling Presentation Boards, and Working Drawings for their Design & Technology (D&T) coursework. SolidWorks 3D design software is a widely adopted, and the best-in-class 3D computer aided design (CAD) software, that is used in design, engineering, research and education fields. The software’s ease-of-use, coupled with its powerful modeling and rendering capabilities, makes it an ideal tool of choice for students studying Design & Technology (D&T) at the secondary level. The approach delivered through this course is designed to equip students with adequate skills to utilize SolidWorks 3D CAD software to complement manual operations (e.g. hand-drawn working drawings and marker rendering). This approach is proven to save time, and allow students to focus on their design. 365-day access to course materials on course website via computer, smartphone and mobile devices. Blend of video instructions and hands-on practice exercises. Personal issue of a student handbook for each participating student. Provision of SolidWorks Student Trial Kit (STK) 60-day software to participate in self-paced learning. Learn on the latest version of the SolidWorks Education Edition AY2015-16 software. Understand angles of projection and 2D working drawings creation. Create assembly drawings with bill of materials, balloons, and exploded view. Create photorealistic presentation image, contextual image, and images incorporating human interaction. You need access to SolidWork Education Edition software (minimum SolidWorks 2014 version). The course is conducted in the SolidWorks 2015 version. For mobile learning, a Tablet of Smartphone with a supported web browser (Chrome, Safari). Full-time students and educators, may qualify for the SolidWorks Education/Student Edition software. Please get in touch and we will advise accordingly. Bulk pricing is available for qualified education institutions. Please contact us and we will provide you with more information. This course is also conducted as an instructor-led course. Contact us for more information.